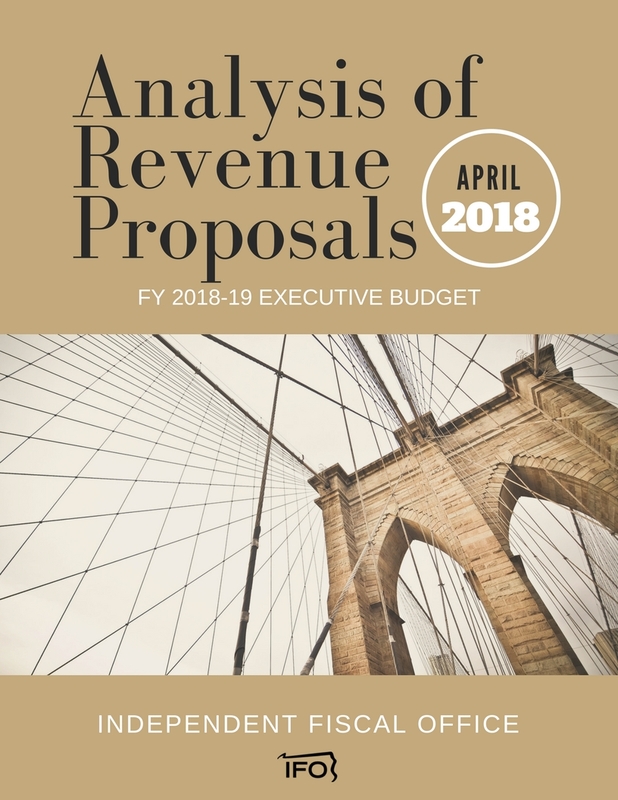 This report provides estimates for the revenue proposals contained in the 2019-20 Executive Budget released February 2019. The Independent Fiscal Office (IFO) publishes this report to fulfill its statutory duties as provided under 71 Pa.C.S. § 4104. The act requires that the IFO “provide an analysis, including economic impact, of all tax and revenue proposals submitted by the Governor or the Office of the Budget." 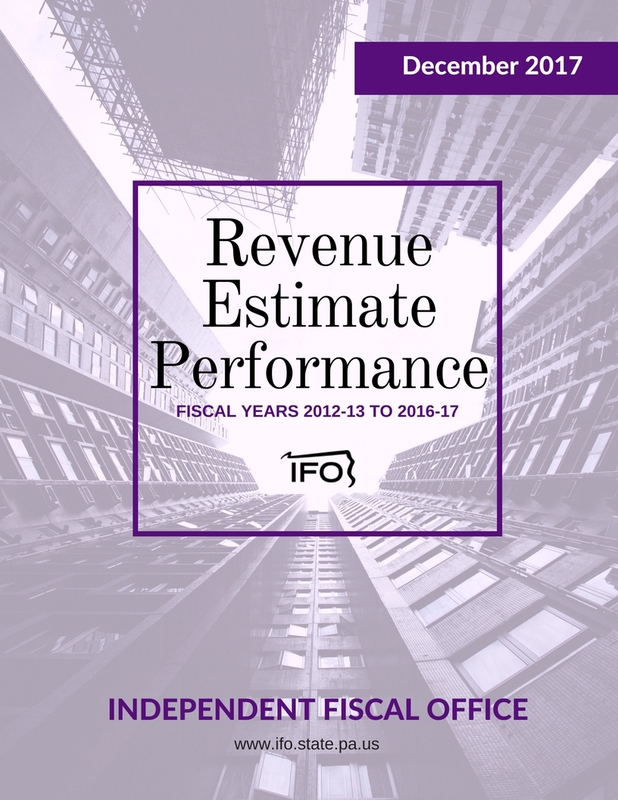 The Independent Fiscal Office (IFO) has released a mid-year update of its revenue estimate for fiscal year (FY) 2018-19. The revised estimate is $34.272 billion, which is $373 million higher than the IFO’s offical estimate. As part of the mid-year update, the IFO also provides an advance look at revenue projections for the next fiscal year. 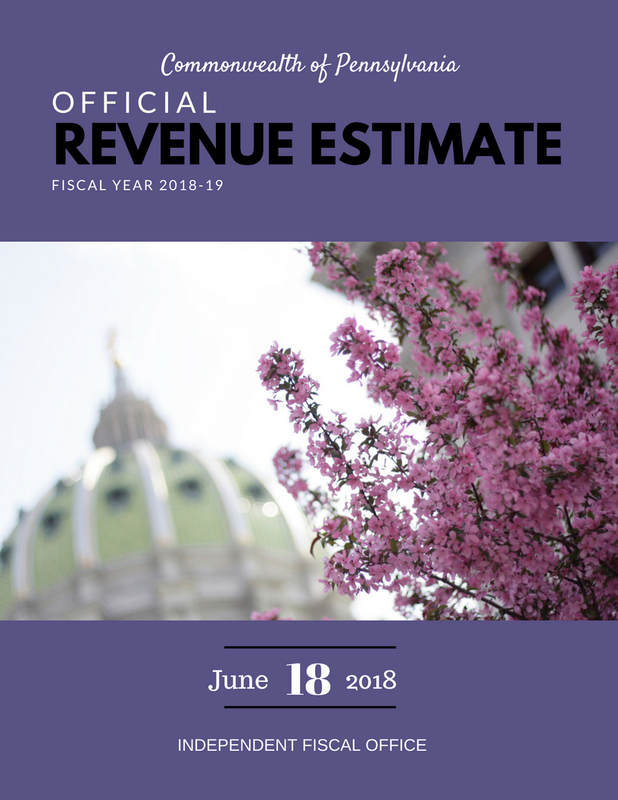 For FY 2019-20, revenues are projected to be $35.272 billion, an increase of 2.9 percent over the current year. The office will update the estimate in its next round of revenue projections to be released in late May. Click on the hyperlink above to access the full report, three presentations and press release. This report examines the performance of IFO revenue estimates for the past six budget cycles. The official revenue estimate for FY 2018-19 and updated estimates for FY 2017-18. The initial revenue estimate for FY 2018-19 and updated estimates for FY 2017-18. This report examines the performance of IFO revenue estimates for the past five budget cycles.